On Monday, January 14th, 2019, the Sheboygan County Sheriff's Office took a report of Criminal Damage to Property, which happened at the Taylor Hill Water Tower at 911 Taylor Dr. in the City of Sheboygan. The vandalism occurred between Tuesday, January 8th and Friday, January 11th, 2019 and consisted of "Love RIP DSG" and the letters "arr" and "SGK" spray painted black colored graffiti on the tower pillars. The Sheboygan County Sheriff's Office and the City of Sheboygan Water Utility are looking to the community for assistance in locating the suspect(s) involved. On Friday, August 3rd and again on Sunday, December 2nd, 2018, the Sheboygan County Sheriff's Department took a complaint of damage to property at the James Tellen Woodland Sculpture Garden located at 5634 Evergreen Dr., in the Town of Wilson. Concrete sculptures were created by James Tellen from 1942 to 1957 at what is now known as the Woodland Sculpture Garden. Some exhibits were tampered with and vandalized. A group of juveniles was observed by area residences, who believe they may have been involved. The juveniles were operating a maroon Saturn sedan and a grey colored SUV of unknown make or model. In addition, graffiti was written in blue permanent marker "SUH DUDE" on a bench seat. If anyone has information about this incident they are asked to contact the Sheboygan County Sheriff's Office. On Saturday, December 1st, 2018, the Sheboygan Falls Police Department took a report of a burglary in the 1000 block of Golden Oak, in the City of Sheboygan Falls. Taken from the residence were 3 handguns, a Glock 19, a Smith and Wesson Shield (9mm), and a 357 Revolver and 6 long guns, a Remington 870, Mossberg 185, Browning Satori, Winchester 1200 Shotguns, and Stevens Savage and a Marlin .22 rifles. Also stolen was a chrome plated knife and sheath with dragon insignia as well as a large, 12 inch switchblade knife and Toshiba laptop. The Sheboygan Falls Police Department is looking to the community for assistance in locating the suspect(s) involved. On November 30th, 2018 , the Sheboygan Falls Police Department took a complaint of a theft of a firearm from an unsecured vehicle. The theft occurred in the 500 block of Pine Street in the City of Sheboygan Falls between November 24th and November 25th, 2018. The firearm taken was an AR-15 rifle with two 30 round magazines. The Sheboygan Falls Police Department is looking for the communities help to identify the suspect(s). On Monday, November 5th, 2018, the Sheboygan County Sheriff's Department took two complaints related to theft and attempted theft in the Town of Sheboygan. On Blackstock Road, a suspect ripped open mail and packages, which were found lying in the ditch near the residence. On Najacht Road, a young black male wearing tan clothes and a hat with flaps rang a residences doorbell and later attempted to enter the residence through a window until confronted by the homeowner. The homeowner believed that a silver four-door sedan of unknown make and model was related to the suspect of the attempted burglary. The same suspect may be related to both crimes as they both occurred on November 5th in close proximity to time and distance. The Sheboygan County Sheriff's Office is asking the community for help to identify the suspect(s). On the northeast side of the City of Sheboygan, between Saturday, October 6th and Tuesday, October 30th, 2018, the Sheboygan Police Department has investigated a series of vandalism complaints regarding parked vehicle tires being slashed or punctured. The suspect is described as a male with a stock build and is approximately 5'10" in height. The Sheboygan Police Department is asking the community to help identify the suspect. On Friday, September 28th, 2018, the Sheboygan County Sheriff's Office took investigated a vehicle entry complaint. 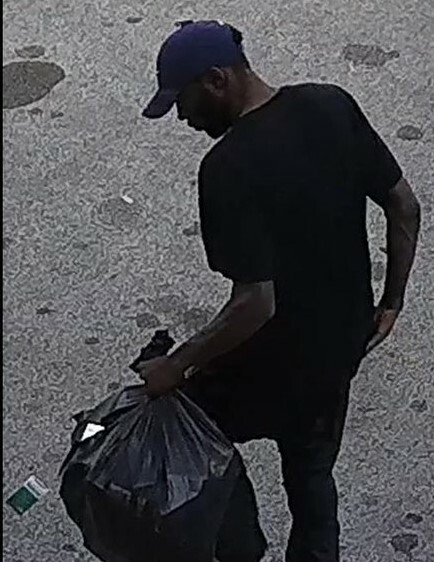 The theft occurred in the early morning hours of Friday, September 18th, 2018 in the area of the 200 block of East Ave in the Village of Waldo. Taken was a black zip-up wallet, a number of credit cards and an undisclosed amount of cash. The Sheboygan County Sheriff's Office is asking the community for help to identify the suspects. Sometime between 5 PM on Thursday, August 2, 2018, and 3 PM on Saturday, August 4, 2018, a vehicle intentionally knocked over two posts at Mallard Storage, W4915 County Road N, in the Town of Lyndon. Also damaged was a solar light that was attached to one of the posts. The Cascade Police Department is handling the investigation and looking for any information to assist in identifying the parties responsible. 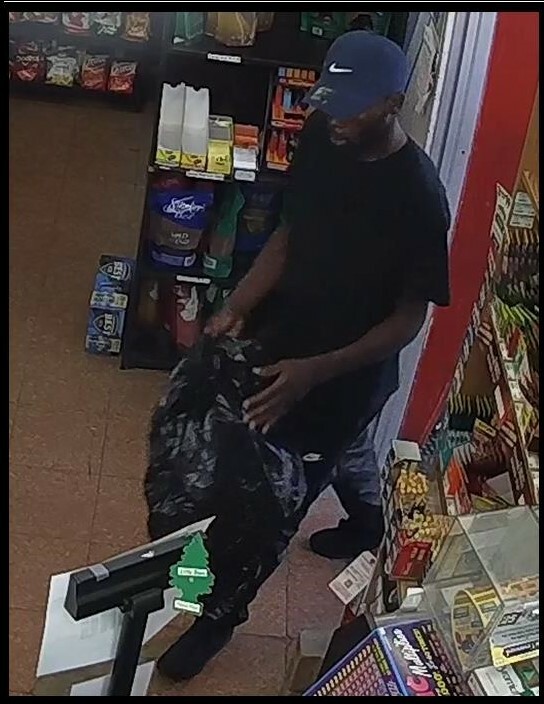 On Friday, July 13th, 2018, the Sheboygan Police Department took a complaint of a retail theft from the Clark Gas station at 2709 N 15th Street, City of Sheboygan. 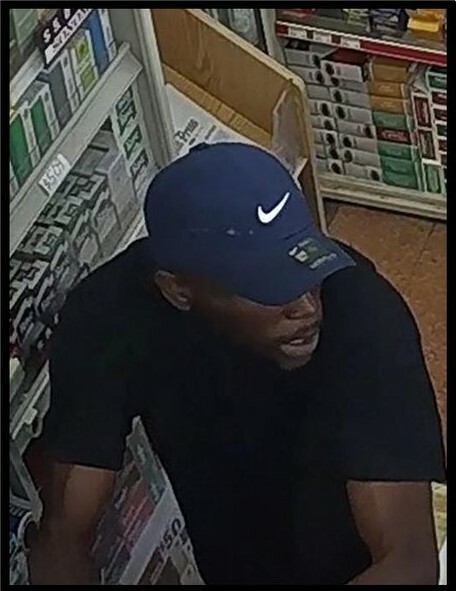 At approximately 6:20 AM, a slender built, male, black, approximately 5'5" and 30 years of age entered the store and stole approximately $2600 worth of cartoons of cigarettes. The Sheboygan Police Department is asking for the community for help to identify the suspect.